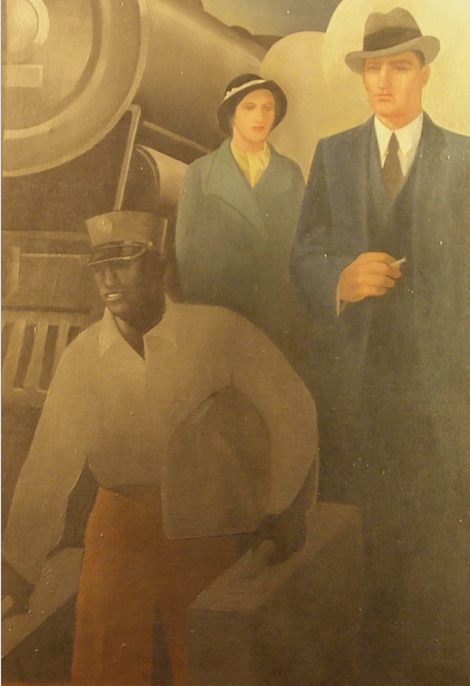 One of the four murals in the St. Paul City Council/ Ramsey County Commission chambers. 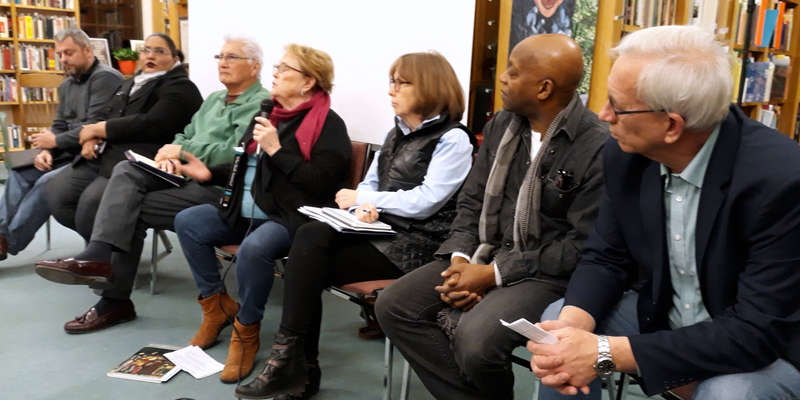 Norcross made her comments at a Jan. 10 community discussion on the murals at the East Side Freedom Library. One of the small inset images. Norcross was one of several panelists, including: Roberts (from the Ramsey County Historical Society); John Poupart, founder of the American Indian Policy Center; historian Mary Wingert; St. Paul City Council member Jane Prince; Seitu Jones, a St. Paul visual artist; and Jim McDonough, Ramsey County Board Chair. 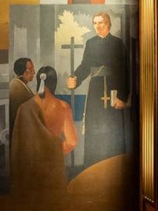 Another image in the murals. From left to right: Chad Roberts, Crystal Norcross, John Poupart, Mary Wingert, Jane Prince, Seitu Jones and Jim McDonough. The two elected officials attending the meeting had differing views. 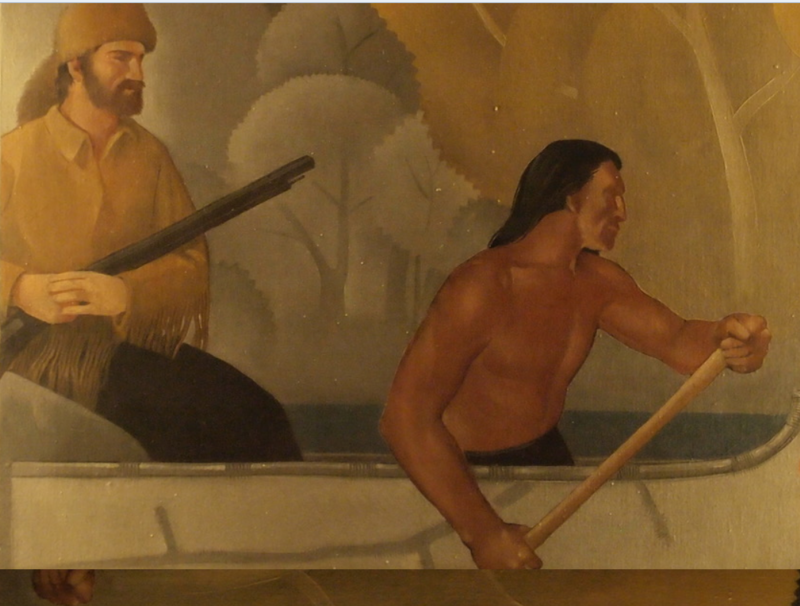 County Board Chair McDonough favored the current plan of keeping the historic murals in place and covering two of them at any one time (on a rotating basis). “We can’t hide our history,” he said. I am deeply moved to hear that this discussion is taking place – that the dream of one human race where every person is respected and free to be and to learn from one another may just come about one day. Today is a fine time! Let’s create some inspiring new art together! !